An isolated occurrence of Fusarium head blight (FHB) of wheat was detected in the south-west region of Western Australia during the 2003 harvest season. The molecular identity of 23 isolates of Fusarium spp. collected from this region during the FHB outbreak confirmed the associated pathogens to be F. graminearum, F. acuminatum or F. tricinctum. Moreover, the toxicity of their crude extracts from Czapek-Dox liquid broth and millet seed cultures to brine shrimp (Artemia franciscana) was associated with high mortality levels. The main mycotoxins detected were type B trichothecenes (deoxynivalenol and 3-acetyldeoxynivalenol), enniatins, chlamydosporol and zearalenone. 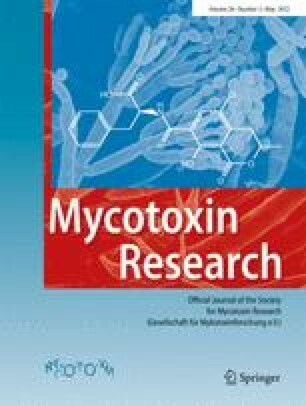 This study is the first report on the mycotoxin profiles of Fusarium spp. associated with FHB of wheat in Western Australia. This study highlights the need for monitoring not just for the presence of the specific Fusarium spp. 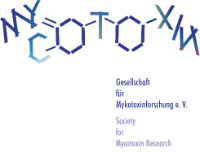 present in any affected grain but also for their potential mycotoxin and other toxic secondary metabolites. We thank the Department of Agriculture and Food Western Australia for providing half the salary for Martin Barbetti while these studies were being undertaken and for also providing the Fusarium isolates from their Culture Collection Herbarium. The first author is a recipient of an Australian University Postgraduate Award. Funding for this research was provided by the School of Plant Biology, The University of Western Australia. None of the authors have any conflict of interest in relation to publication of this paper. All funding for this work was internal to the University of Western Australia; there was no external funding component of this research.